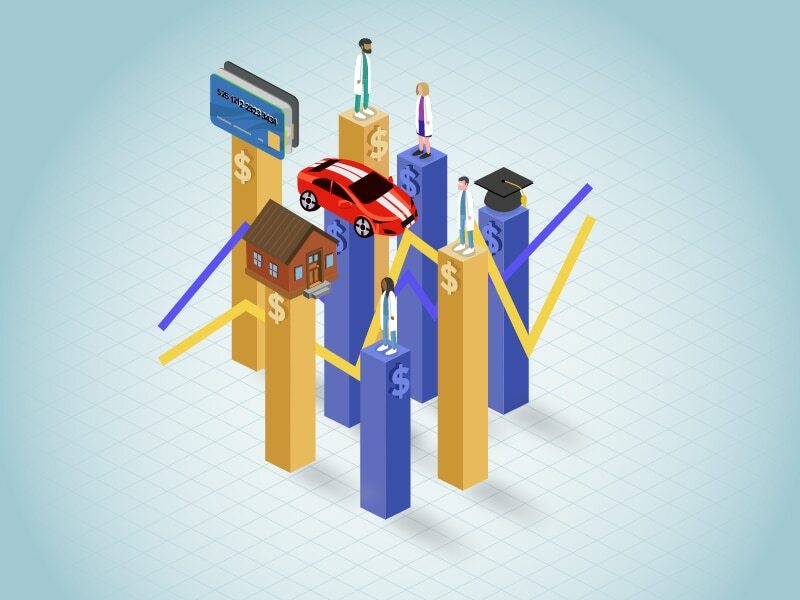 How much are residents earning in 2016? Have salaries improved over last year? Do male and female residents feel the same about their compensation? How much debt are they carrying? More than 1800 residents in 25 specialties told us about their compensation, as well as the hours they work, their professional relationships, and the quality of their education. Their answers and comments were heartfelt and insightful. All participants were enrolled in a US medical resident program. In 2016, the average resident salary—$56,500—was a slight increase over that reported in Medscape's 2015 Residents Salary & Debt Report ($55,400). 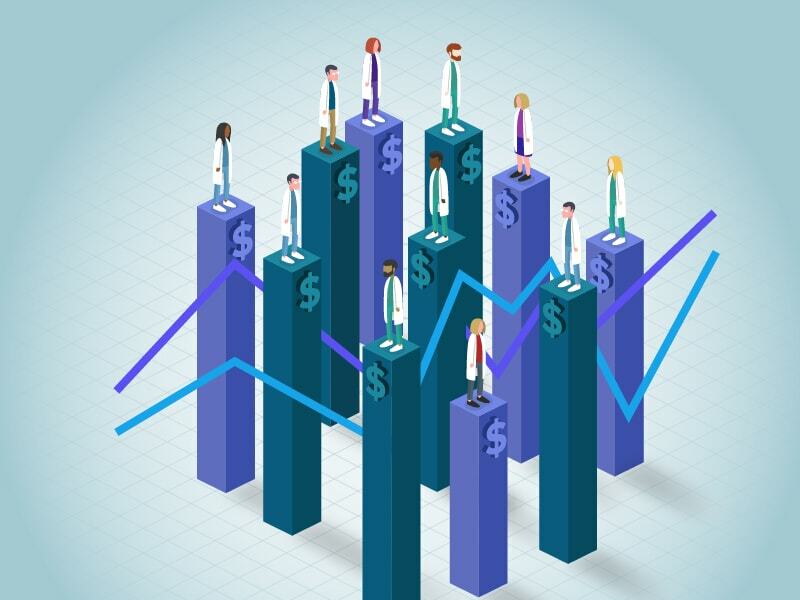 The latest figure averages higher earnings in such specialties as critical care and oncology and lower earnings in other specialties, such as primary care. As they did last year, critical care residents earned the top salary ($62,154) in 2016, over $8000 more than their colleagues in family medicine, who earned the least ($54,000). However, despite being the highest-paid resident specialty, critical care is only in the middle of the pack of salaries for established physicians, according to Medscape's 2016 Physician Compensation Report. The average resident earned $52,700 in the first year of residency, with salaries increasing to a high of $63,000 by the sixth through eighth years. The largest increase was between year 3 and year 4. In our 2015 report, the difference in average earnings for male and female residents was only $1000 ($56,000 and $55,000, respectively). In 2016, the average earnings gap had shrunk to $600, with male residents earning $56,700 and female residents earning $56,100. In 2016 and 2015, residents in the Northeast led other residents in compensation by a considerable margin (they earned $63,000 in 2016 and $62,000 last year). However, this regional disparity in earnings changes after residency and is quite different for practicing physicians. In our 2016 Physician Compensation Report, practicing doctors in the Northeast ranked last in compensation ($266,000), while practicing doctors in the North Central region earned the most ($296,000). There was a difference in both male and female residents' perceptions of fairness in their compensation from one year to the next. In our 2015 report, 60% of male residents and 65% of female residents felt fairly compensated. In 2016, only 52% of men and 55% of women said they felt the same. Although approximately one half of residents felt fairly compensated in 2016, that was significantly fewer than in our 2015 report, where approximately two thirds said they were satisfied with their salaries. This year's commenters cited their low wages compared with several groups—NPs and PAs, people in nonmedical professions with comparable education and experience, and even residents in other specialties who weren't required to work as hard—as being among the reasons for their discontent. Nearly all residents (91%) get paid time off, including vacation days, sick days, and personal time, and nearly as many (86%) receive health insurance. Most (73%) receive professional liability coverage, and two thirds receive meal and book allowances. Childcare allowances remain a rarity; only 3% of residents report receiving them. How influential is earning potential in residents' choice of specialty? No doubt about it: It matters. 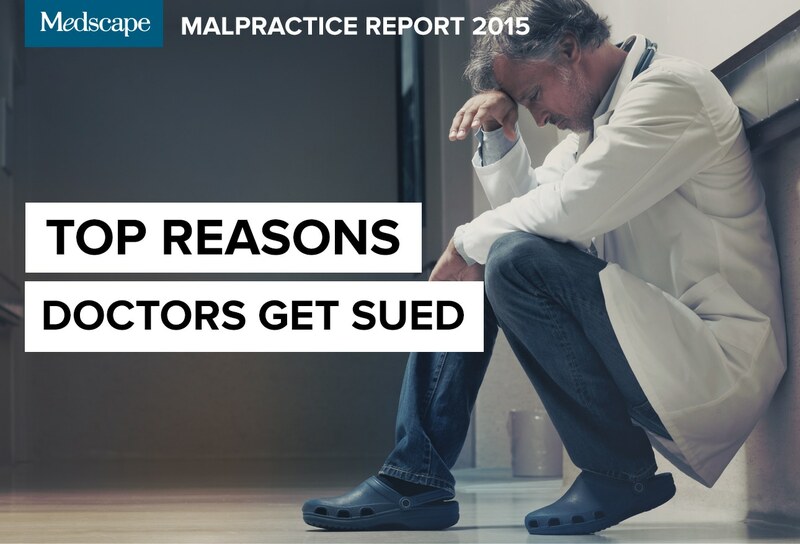 More than one third of our respondents (36%) cited compensation as extremely important or very influential in their specialty choice, and over one half (56%) said it factors into their decision somewhat or slightly. Only 8% said that earning potential was not a factor in their specialty choice. Kenneth W. Lin, MD, MPH, associate professor in the Department of Family Medicine at Georgetown University School of Medicine, sees the influence of earning potential on specialty choice as one reason for the shortage of primary doctors. "If we really want our top medical students to enter primary care specialties," he says, "we need to pay them as much or more than subspecialists." All things being equal, many residents say they are naturally drawn to internal medicine, family medicine, and pediatrics. But is the pay high enough to induce them to remain in those specialties? In Medscape's 2016 Physician Compensation Report, of 26 specialties surveyed, internal medicine ranked 21st ($222,000), family medicine ranked 24th ($207,000), and pediatrics ranked 26th ($204,000). Even though these earnings represent gains since 2015, the percentage of residents in our 2016 report who plan to switch specialties was virtually the same as it was in 2015 (57% vs 56%, respectively). However, Dr Lin points out, "in reality, most physicians in family medicine residency programs end up practicing primary care, while most of those in internal medicine programs become subspecialists." More than two thirds (68%) of residents have significant medical school debt (exclusive of any other debt)—$50,000 or more—the same percentage as in 2015. Well over one third (40%) of residents have over $200,000 in debt, and one fifth (20%) have $100,000-$200,000. Another 8% have $50,000-$99,999, and 9% owe less than $50,000. A fortunate 22% of residents have no debt. In "The Differential," a Medscape blog for medical students and residents, Rick Tumminello offers this perspective: "Whether we realize it or not, we're all entrepreneurs. Our business is medicine; our investment/business cost is our education and our training, financed through student loans. Our product is the treatments we provide and, just like a young new business owner, we'll start with a low income and slowly earn our way out of debt." There is very little difference in the amount of medical school debt borne by male and female residents. Forty-one percent of male residents and 40% of female residents carry over $200,000 of debt. One fifth of male and female residents (20% and 21%, respectively) owe $100,000-$200,000. The percentages of male and female residents who owe $50,000-$100,000 are virtually the same (8% vs 9%, respectively). And male and female residents who carry less than $50,000 of debt are identical (9% in each case). In addition, 23% of male residents and 21% of female residents have no medical school debt. Scut work—routine, often menial labor—can include almost anything, from chasing down radiology reports to drawing blood, entering patient data into an electronic health record, or serving as a scribe. Although often thought of as thankless errands—14% of our respondents said they had too much scut work—the majority (51%) felt that the scut work they were assigned was moderate, a reasonable balance of tedious chores and more important responsibilities. Over one third (34%) of residents this year said they hardly did any scut work. If some residency programs harbor sexist attitudes, the apportioning of scut work by gender may be one area where it would be expected to surface. But our 2016 report found just the opposite. Approximately one half of our respondents (53% of men and 49% of women) believed they had a moderate amount of scut work, and an almost equal number—14% of male residents and 15% of female residents—felt that they were overburdened with mindless, thankless tasks. Perhaps the biggest surprise is that approximately one third of our respondents (33% of male residents vs 36% of female residents) said they were given little or no scut work. Relationships with nurses and PAs have deteriorated somewhat from last year to this. In 2015, 94% of residents said their relationships with nurses and PAs were positive. In 2016, those rating their relationships with nurses and PAs as very good or good had dropped to 85%. But this is still a very high percentage; only 3% of our respondents said their dealings with nurses and PAs were unsatisfactory. While most residents said that their relationships with nurses and PAs were positive, a minority perceived a clash of cultures. These doctors said that nurses and PAs were disrespectful, had passive-aggressive tendencies, cozied up to attending physicians while treating residents as though they were second-class citizens, and were not as helpful as they could be. Residents' relationships with attending physicians were slightly less positive this year than last. In our 2015 survey, 96% of respondents rated their relationships with attendings as good, very good, or excellent. In our 2016 survey, 88% of participating residents felt the same. Despite poor treatment of residents by attending physicians that occasionally is reported in media articles, over three quarters (77%) of residents in our 2016 report said their relationships with attendings were generally positive. Only 11% felt very or somewhat dissatisfied with their relationships with attendings. The minority of residents who were dissatisfied with their treatment by attendings most commonly cited attendings' inability or unwillingness to teach, lack of feedback, and disrespectful or abusive behavior as reasons for their dissatisfaction. 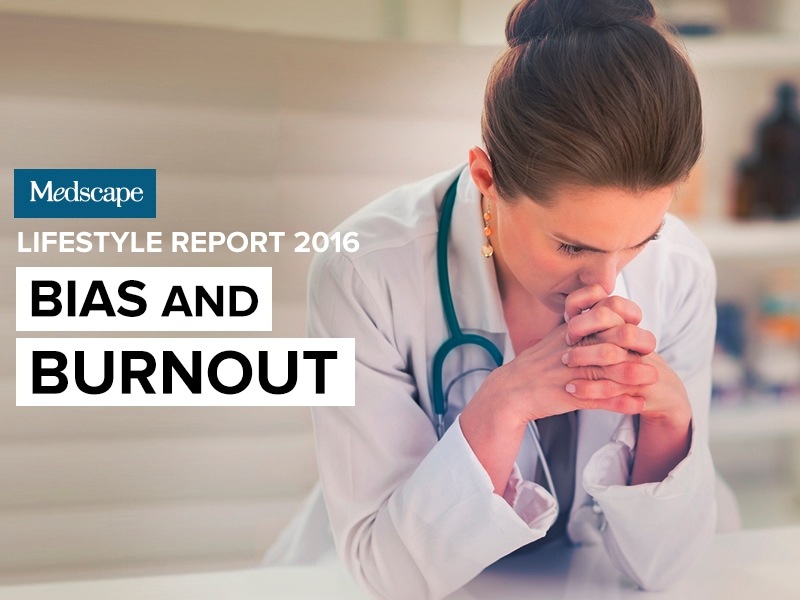 Fewer than 1 in 10 (7%) of our respondents voiced concerns about the lack of supervision by attending physicians. The vast majority (87%) believed that their degree of supervision was appropriate. Six percent of residents in our 2016 report believed that they received too much supervision. Even though some residents, commenting on their relationships with attendings, expressed dissatisfaction with the amount of training offered by their supervising physicians, this was a minority view. Only 2% of our 2016 respondents felt that they weren't trained enough. In contrast, over three quarters (76%) of residents felt that sufficient time was devoted to training, and 1 in 5 (21%) believed that they received too much training. Over three quarters (76%) of residents expressed satisfaction with the quality of their learning experiences, in which attending physicians play a leading role. This is consistent with respondents who expressed satisfaction with their relationships with attendings (88%), their treatment by attendings (77%), and their degree of supervision by attendings (87%). In our 2016 survey, 80% of residents spent over 40 hours per week seeing patients. Of these, 42% spent over 60 hours per week on patient care, 22% spent 51-60 hours interacting with patients, and 16% spent 41-50 hours with patients. Another 10% of residents spent 31-40 hours seeing patients. Only 10% of our respondents this year spent less than 30 hours on patient care. The amount of facetime with a patient is often an issue for practicing doctors, but what about for residents, who often work long hours and have demanding workloads, and who are often in a chronic state of fatigue? In our 2016 report, over half (55%) of the respondents said they occasionally had enough time to spend with patients, suggesting that occasionally their time with patients is insufficient. Still, well over one third (39%) of residents reported that they frequently had sufficient time to interact with patients. Only 6% of residents this year felt that they never had enough time to relate to patients. One out of 2 (50%) residents said that they worked over 60 hospital hours per week, but thereafter the percentages fall off dramatically. One fifth (20%) of our 2016 respondents worked 51-60 hours in the hospital, 12% of worked 41-50 hours, 6% worked 31-40 hours, and 11% worked less than 30 hours. Nearly half (49%) of residents were on call 1-4 nights per month, and nearly one third (32%) were working nights 5-10 times per month. Another 5% had call 11-15 times per month; 2% worked more than 15 nights per month; and 11% didn't have night call. These percentages are similar to those in our 2015 survey. In compensation, scut work, and many other areas, female residents appear to be treated virtually the same as their male counterparts, and night call is no exception. In fact, more male than female residents were on call 6-10 nights per month (34% vs 29%, respectively), and the percentage of male and female residents who were on call even more often were identical. Residents most commonly were on call 1-5 nights per month, where the percentage of male residents (48%) and female residents (51%) were almost the same. Over three quarters (76%) of our respondents rated clinical knowledge and experience gained as being the most gratifying part of their job. This is as one would expect; residents' primary job is to learn. Over two thirds (67%) of our respondents found their relationships with patients meaningful. 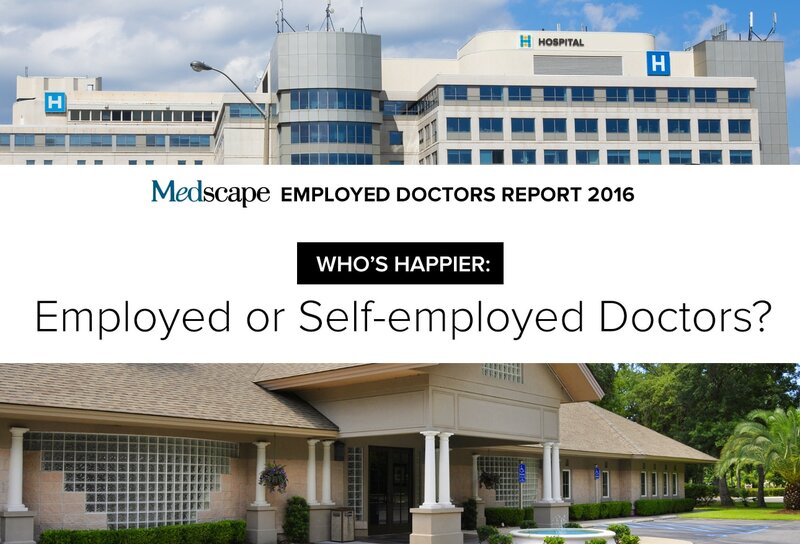 The next most popular choice was being an excellent doctor; this self-confidence was expressed by nearly two thirds (65%) of residents, suggesting that their residency programs are doing a good job. One half (50%) took pride in being a doctor, ranking it the fourth most rewarding part of the job. Making the world a better place placed fifth, cited by 40% of the residents we surveyed this year. Despite our finding that potential earnings influence residents' choice of specialty, most say they are not motivated by money. The potential for making good money ranked at the bottom of perceived rewards, chosen by just over one third (34%) of our respondents. Most residents—from those in critical care and oncology, who are among the highest paid, to those in primary care, who earn the least—can look forward to at least quadrupling their salaries as established doctors, if our 2016 Physician Compensation Report is any guide. After years of lean living, is the prospect of earning a good salary for the first time likely to cause these young doctors to throw caution to the wind and go on a spending spree? The majority (67%), perhaps with their heavy debt load in mind, said no. While nearly one fifth (18%) did plan to overspend, they may include the fortunate 22% of residents who have no debt. What do today's residents envision for themselves after residency in terms of their practice situations? Do they see themselves one day being a partner in a practice, establishing a practice of their own, or being an employee with regular hours (the choice of a majority of doctors today)? Might they want to be a partner/owner and an employee at different times in their careers? 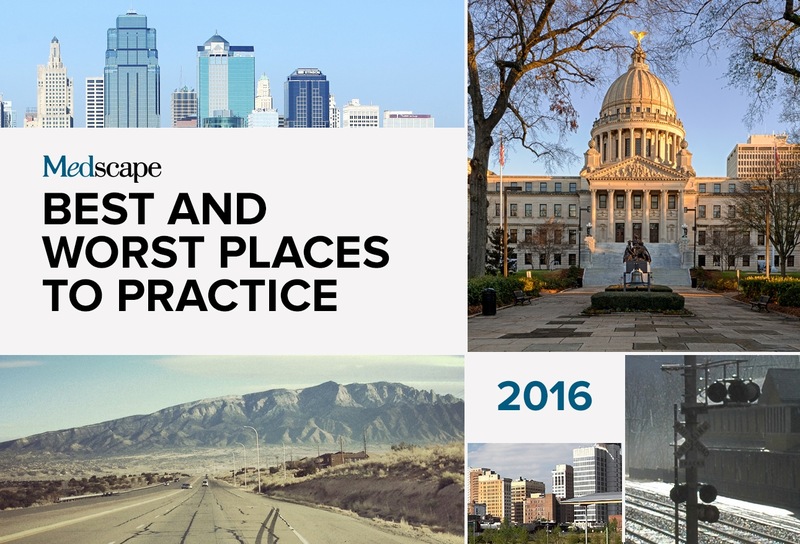 In 2016, 22% residents pictured themselves as practice owners or partners, slightly fewer than in 2015, when 26% did. And this year, 29% preferred employment, slightly up from last year, when 24% did. Over one fifth (22%) of our 2016 respondents thought they might do both (nearly the same as 2015, when 24% felt likewise). The percentage of those who haven't made up their minds has hardly changed from one year to the next (27% were undecided in 2015 and 28% were unsure in 2016). When asked about the practice situations in which residents saw themselves after completing their residency programs, their average responses were fairly evenly distributed among the options. But when those responses were viewed by gender, significant differences appeared. While over one quarter (27%) of male residents wanted to be a partner in or owner of a medical practice, only 13% of female residents had the same goal. On the other hand, a significantly higher percentage of female residents (35% vs 25% of male residents) preferred to be an employee. Those who saw themselves in different roles at different times were about the same; 22% of male and 21% of female residents envisioned themselves as employees and practice partners/owners at different stages of their careers. A slightly higher percentage of female than male residents (30% vs 26%, respectively) were uncertain about their future goals. Most residents (67%) work in hospital settings. Although serving in the military or an underserved area can reduce medical school debt, it's an option that few residents choose. Similarly, graduate medical education funding is available for community-based teaching sites, which is intended to produce more primary care physicians. But with more than one half of primary care residents looking to switch to more lucrative specialties, this opportunity currently has few takers.